Welcome to the second week of April! April is the month of the growing season, when trees and flowers begin to “open”. So that means April is the month of GROWTH! 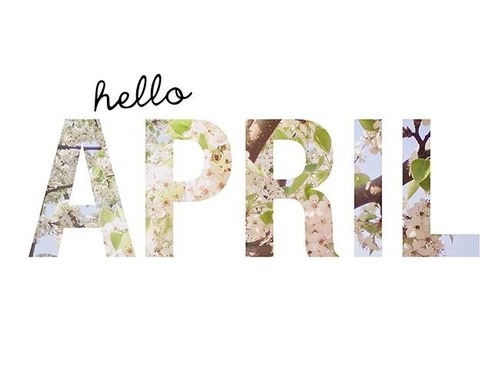 April is a hopeful month which promises good and beautiful things in the future. There are a lot of holiday celebrations in the month of April and this week is dedicated to National Student Employment Week and National Volunteer Week. National Student Employment Week sheds light on how student employment offers students career-enhancing opportunities, the ability to develop skills relevant in any career, better preparation for the job market upon graduation, and a way to help pay for their education. Many students can earn a significant portion of their college expenses, thus avoiding the debt burden so familiar with college graduates today. The reason this week is special to TARC is because of the vocational collaboration we are part of that provides Self-Advocacy and Self Determination Training for high school students and staff as part of Goodwill’s Transition Work Adjustment Program. Our overall goal is to help students be actively involved in their decision-making process regarding education, vocation and advocacy services available to them once they graduate high school and enter college. Organizations that employ college or high school students are encouraged to mark the week with ice cream socials, billboards, or special meals to show their appreciation. You can also use #StudentEmploymentWeek or #NSEA on social media to show your admiration of student employees! National Volunteer Week is an opportunity to thank the thousands of volunteers across the country who keep many organizations running, communities safe and provide the services that otherwise would not exist without volunteers. It’s also a time to consider volunteering or providing support to those organizations vital to your community. We cannot wait to shine a light on all of our amazing volunteers this week as we thank them for their hard work. Click here or call us at 918.582.TARC (8272) to see how you can be a TARC volunteer. 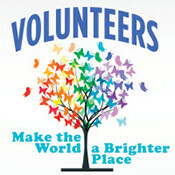 Visit www.pointsoflight.org to find out more about National Volunteer Week and find out how you can make a difference. Use #NationalVolunteerWeek to share on social media. 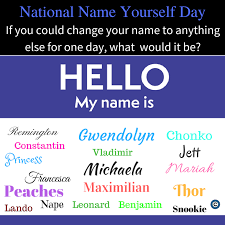 Tuesday, April 9th is dedicated to a very fun and entertaining activity — National Name Yourself Day. To celebrate this fun national day, you are allowed to give yourself a new name for one day only. If you have ever wondered what it would be like to have a different name, this would be the day to find out. If you like your name and do not want to play along, you can try a nickname instead. The nickname might just stick with you. Create a new name for yourself and use #NationalNameYourselfDay to post on social media. This is such a fun way to change up your day and add a little fun to your normal routine. Wednesday, April 10th is dedicated to a great holiday for some — National Siblings Day. National Siblings Day is a day created to honor our brothers and sisters. Siblings. Sometimes they are our best friends and sometimes our worst enemies. At times, siblings will provide us with our biggest competition, strongest encouragement and remind us of our most embarrassing moments. 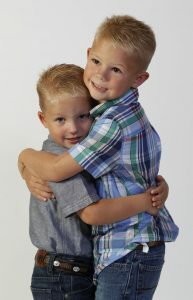 For individuals with disabilities, their siblings can be their biggest source of comfort and strength. We would love for you to share stories about you and your siblings with us. To celebrate this fun national day, post about your sibling on social media with the tag #NationalSiblingsDay. You can use this as the perfect opportunity to embarrass them for all they have done to you in the past, or to thank them for always being by your side when you need them. Friday, April 12th is dedicated to a very important awareness campaign, National Day of Silence. National Day of Silence was formed as a student-led movement to protest bullying and harassment of lesbian, gay, bisexual and transgender (LGBT) students and those who support them. 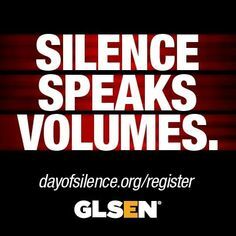 The Day of Silence illustrates to the schools and the colleges how the intimidation, name calling and general bullying has a silencing effect. Participating students take a day-long vow of silence. TARC wants to spread awareness of this day of silence in respect for anyone who has been bullied and felt intimidation from others because they are different. Being different doesn’t make you unimportant, it makes you special with unique gifts and talents. It would be boring to be just like everybody else. Show your support for National Day of Silence by using #NationalDayofSilence on Social Media to bring awareness to this special day. Tell the world why you are choosing to be silent — for those who have had their voice taken away as a result of bullying. Take a look at National Day Calendars website to learn about more fun or important days that you can participate in! Last week, a group of bipartisan U.S. Senators and House of Representatives introduced the IDEA Full Funding Act (S.866/H.R.1878). 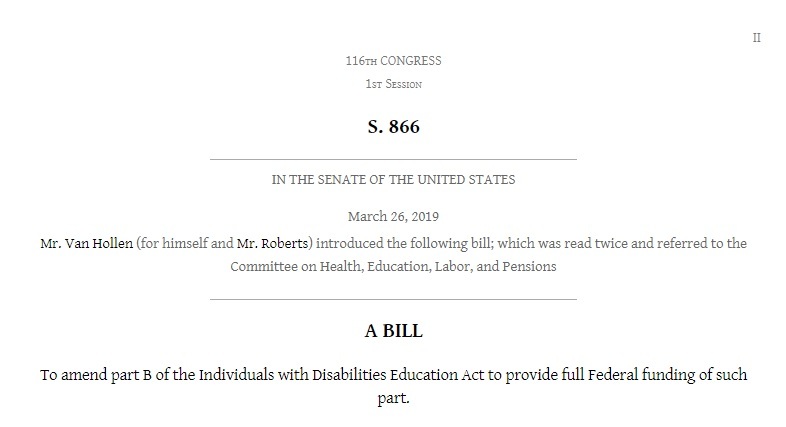 The purpose of this legislation is to bring the share of funding for special education up to 40%, the amount committed when the Individuals with Disabilities Education Act (IDEA) law was first enacted in 1975. Currently, the federal government is meeting only 14% of these costs. Introduced last Tuesday, March 26th, this bill is in the first stage of the legislative process. It is expected to be considered by the Senate Appropriations Committee before hopefully moving to the Senate and then the House for a full vote. TARC is very supportive of this legislation. To track this legislation, click here: https://www.govtrack.us/congress/bills/116/s866. Once you click on the link, the top of the page will have a green button so you can have emails sent to you. Once you do that you can receive updates and learn of major action on this bill. There is also a blue link to its right, allowing you to insert your zip code to get your legislators’ contact information so you can have your voice heard. Yesterday kicked off the first week of April! 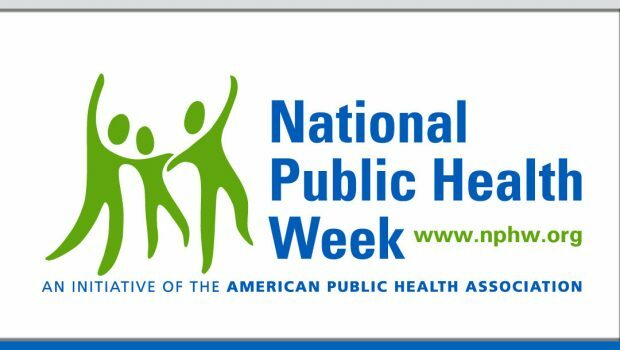 There are a lot of holiday celebrations in the month of April and this week is dedicated to National Public Health. National Public Health Week encourages people to become a part of a growing movement to create a healthy nation. The first full week of April is a time to recognize the contributions of public health while highlighting issues that are important to improving the health of the nation. This week, let’s focus on prevention and reducing unhealthy activities in our community. In 2018, Oklahoma ranked 47th in health after being evaluated by historical and comprehensive set of health, environmental, and socioeconomic data. Find out more by going to the American Health Ranking website. Download the Center for Disease Control Health IQ App to Your Smartphone. Follow on Facebook and share health facts and information using #PublicHealthWeek. Tuesday, April 2nd is dedicated to two very important awareness campaigns, World Autism Awareness Day and SAAM (Sexual Assault Awareness Month) Day of Action. April is World Autism Month, and World Autism Awareness Day (WAAD) aims to put a spotlight on the hurdles that people with autism – and others living with autism – face every day. As a growing global health issue owing to its increasing exposure in the press and common knowledge, autism is an issue that is only gaining more understanding – and WAAD activities are planned every year to further increase and develop world knowledge of children and adults who have autism spectrum disorder (ASD). Wear blue to spread awareness, understanding, and acceptance of those with autism. 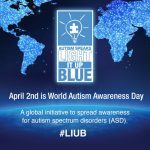 AutismSpeaks is inviting friends and neighbors around the world to come together to pledge to go blue to increase global understanding and acceptance of people with autism. 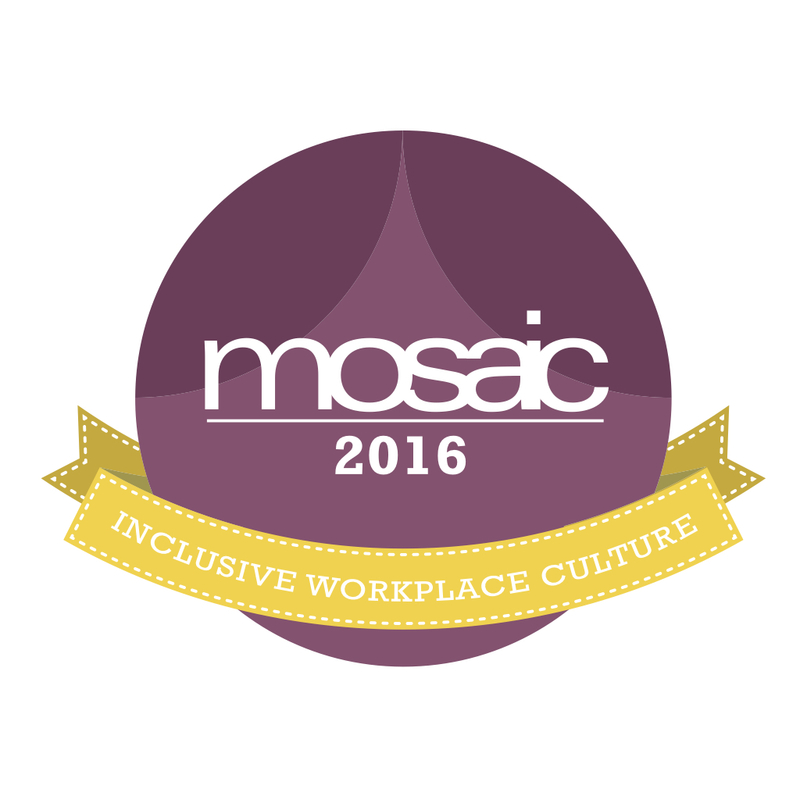 We hope you’ll join us by pledging your support for a more inclusive world and staying involved all month long! 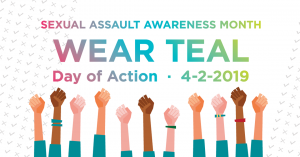 Nationally recognized in the United States and observed annually as part of Sexual Assault Awareness Month (SAAM), SAAM Day of Action provides a day to focus awareness on sexual violence prevention. Since 2004, the National Sexual Violence Resource Center has promoted a day dedicated to ending sexual violence against women. Their campaign is ongoing. Use #SAAMDayOfAction to post on social media. For more information on sexual violence prevention and awareness, visit www.nsvrc.org. 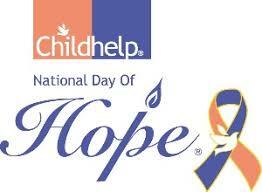 Wednesday, April 3rd is also dedicated to two awareness campaigns, Childhelp National Day of Hope and National Walking Day. To learn more, visit www.childhelp.org. The first Wednesday in April is National Walking Day. The American Heart Association sponsors this day to remind people about the health benefits of taking a walk. Wear your sneakers (or take them with you) to work, and at some point in the day, take a 30-minute walk. Use the hashtag #HealthyForGood when posting on social media. Click here to get more information and resources on how to stay active and healthy. Saturday, April 6th is dedicated to two awareness campaigns, National Student-Athlete Day and National Love Our Children Day. 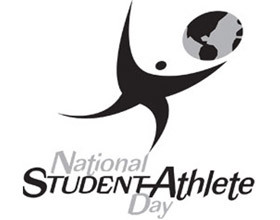 NSAD provides an opportunity to recognize the outstanding accomplishments of student-athletes. It was created to honor high school and college student-athletes who have excelled in academics and athletics and who have contributed to their communities and schools in a significant way. Support student-athletes and use #StudentAthleteDay when posting on social media. Share stories about your student in the Special Olympics detailing how it has impacted your family. Love Our Children USA sponsors and promotes this day annually on the first Saturday in April as part of National Child Abuse Prevention Month. This day honors all children and encourages us to develop loving, respectful relationships with our children. This day focuses on the prevention of child abuse and violence against children as well bringing awareness and helping put in place support tools and resources for communities. Take time to make the life of a child better. Educate yourself on the prevention of child abuse. Use #NationalLoveOurChildrenDay to share on social media. There are a lot of holiday celebrations in the month of April and we wanted to take the time to share some of them with you. At the beginning of each month, we will be sharing a list of National Days that you can observe during that given month. At the beginning of every week, we will provide a more detailed explanation of the Awareness Days observed in that week. At the beginning of each week, we will be posting a day-to-day list that details all of April’s National Day Observations. It will include what the holiday is for and how you can observe it. April 15th: National Education and Sharing Day. Legislation was introduced earlier this month to increase access to the ABLE Program, (Achieving a Better Life Experience) designed to enable individuals with disabilities to save for and pay for disability-related expenses. Set up in 2014, ABLE accounts permit people with disabilities to save up to $100,000 without risking eligibility for Social Security and other government benefits. Under ABLE rules, Medicaid is maintained no matter how much is saved in the accounts, up to the $100,000 limit. What is being changed as of this month’s ABLE Age Adjustment Act, S. 651, is those with disabilities that present by age 46 could open these types of accounts. The current law limits ABLE accounts to those with disabilities that present prior to age 26. This change will increase the number of account holders and is necessary in order for this program to promote sustainability. At the end of last year, 34,707 ABLE accounts were open across the country with $171.7 million in assets, according to Strategic Insight, a consulting firm tracking ABLE account trends. However, according to the National Association of State Treasurers, which represent state ABLE administrators and program managers, 390,000 accounts are needed by June, 2021 for ABLE programs to achieve sustainability. The senators behind the bill said that another 6.1 million people are estimated to be eligible for ABLE accounts if the ABLE Age Adjustment Act is approved. Currently S.651, ABLE Age Adjustment Act has been referred to the Senate Committee on Finance and has been reintroduced in the House (H.R. 1814) where last week it was referred to the House Committee on Ways and Means. This will need to pass both the Senate and the House of Representatives before going to the President to become Law. 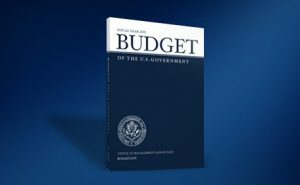 The most recent fiscal 2020 budget proposal unveiled for the federal government proposes cuts to social programs including $1.5 trillion in cuts to Medicaid over the next 10 years. Among the cuts include an $845 billion reduction to Medicaid and Medicare spending over the next decade, with additional cuts to the Social Security Disability Insurance program and a $26 billion decrease in Social Security spending over the next 10 years. One proposal sure to affect people with disabilities is for the federal government to provide a fixed dollar amount to states each year for Medicaid services. It is believed this would jeopardize states ability to fund services to people with developmental and intellectual disabilities. Numerous other programs call for cuts including state councils on developmental disabilities, independent living programs and respite care efforts, a $51 million cut to address autism and other developmental disabilities, and cutting all funds for Special Olympics’ educational programs. Lisa Turner joined our family as TARC’s new Executive Director and is already working to expand our impact and improve the lives of individuals with developmental disabilities. TARC was formed in 1952 by parents of children with developmental disabilities. Nearly 67 years ago, these founding families passionately advocated for services and support due to their frustration with the lack of services available to their children. With Turner now at the helm, the passion of a parent who has a child with developmental disabilities will continue to infuse the organization. Turner has two daughters, Madison, 17, and Megan, 14. Madison is a happy, social young lady who loves going to school at Memorial High School, playing peek-a-boo, going out to dinner, and going to church. Madison’s younger sister Megan is an 8th grader at Edison Preparatory School, a member of the track and debate teams, and is the biggest advocate for her sister. The Turner family lives in Tulsa and attends Boston Avenue Methodist Church. Ray Poudrier, President of TARC’s Board of Directors, stated that John Gajda left quite a legacy for Turner when he retired as Executive Director in February. His vision and hard work with TARC and in the community has improved the lives of many Oklahoman’s impacted by developmental disabilities. John has been a driving force for almost thirty years and Poudrier believes that Turner has the energy and experience to continue expanding TARC’s mission of ensuring a high quality of life for individuals with developmental disabilities and their families through education, empowerment, support, and advocacy. Turner earned a Master of Business Administration and a Bachelor of Business Administration with an emphasis in Finance from Northeastern State University. She is a graduate of Oklahoma Partners in Policymaking and Leadership Tulsa, Class 51. 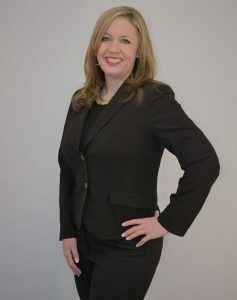 Turner’s passion is to improve the lives of individuals with disabilities and she has dedicated more than 20 years to nonprofit service focused on program development, management, and implementation. Turner spent the past six years as Director of Development for Mental Health Association Oklahoma and oversaw the fundraising department responsible for raising 25% of the Association’s annual $18 million budget through grants, individual donations, and special events including Carnivale. Turner also brings 10 years of experience at the state level in the field of intellectual and developmental disabilities. Formerly serving as Regional Director for Oklahoma Family Network, one of TARC’s fellow advocacy organizations connecting individuals with special health care needs and disabilities, Turner brings a unique background that represents the perspective of families across Oklahoma looking to improve the lives of their loved ones with intellectual and developmental disabilities. 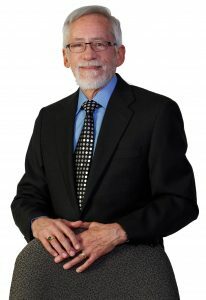 Turner later served as Associate Director for Ability Resources, a partner of TARC striving to maximize independence of individuals with disabilities. We are lucky to have someone so driven and passionate on our team. We look forward to working with Lisa as we continue to expand our impact and improve the lives of individuals with developmental disabilities. TARC’s Executive Director, John Gajda, will be receiving the prestigious Lifetime Achievement Award at this year’s 28th Annual Advocacy Awards and Volunteer Recognition event on December 11. The award will be renamed the John Gajda Legacy Award in honor of John’s passionate support and fervent advocacy for individuals with developmental disabilities and their families. The OK AIM Program (Oklahoma Advocates Involved in Monitoring) is the oldest, continuously operated statewide volunteer consumer service monitoring program in the nation. Since 1991, OK AIM has recruited, trained, and coordinated volunteers who visit state supported residential homes throughout Oklahoma to check on the quality of life of individuals with I/DD provided by private provider agencies. For 20 years (1996-2016) the ARCCORPS Program recruited, trained and supported independent volunteers who served as advocates or guardians for individuals with disabilities who do not have involved family members. During John’s tenure, TARC administered the first VISTA project in Oklahoma that employed people with I/DD. From 1995-97, this project supported teams which went on to become People First chapters throughout Oklahoma; and in doing so, it established the foundation for the self-advocacy movement in OK while helping to address the stigma against people with I/DD. Under John’s leadership, TARC has grown from three employees and an operating budget of less than $100,000 to a major force in advocacy for people with I/DD in Oklahoma. At its high point, TARC employed 21 staff with offices in three cities managing an operating budget of more than $1.1 million. Through the end of the 2017 fiscal year, TARC has administered more than $15m worth of contracts from the Oklahoma Department of Human Services Developmental Disabilities Services. John has served on numerous councils and committees. He currently serves on the statutorily mandated Advisory Committee on Developmental Disability Services that advices the Oklahoma Commission for Human Services on programs for people with I/DD in Oklahoma. John is also serving on the Consumer Advisory Committee of the UCEDD/OK-Lend program at the University of Oklahoma Health Sciences Center. This is the federally funded University Center for Excellence in Developmental Disabilities in Oklahoma. For the past 8 years, John has served on the Tulsa Mosaic Taskforce on diversity coordinated by the Tulsa Chamber of Commerce where he continually helps guide the inclusion of disability as an aspect of diversity, a key component of the taskforce. Now in its 28th year, John established the TARC Advocacy Awards and Volunteer Recognition event in 1991 as an opportunity to recognize the good work that is being done in Oklahoma by individuals addressing issues that impact the lives of people with developmental disabilities. This awards ceremony gives credit to disability advocacy champions and encourages others to follow in these role models footsteps. During his 44 year career, John has been an inspiration to many in the community and has made a substantial impact on the lives of those with disabilities and we hope you can join us at the Advocacy awards to extend best wishes to John as he prepares for retirement. For information on how to reserve seats, Click here. We are honored to introduce our 28th Annual Advocacy Awards keynote speaker, Peter Berns! Mr. Berns will be speaking about issues affecting people with disabilities from the national perspective at our awards ceremony on Dec. 11th. 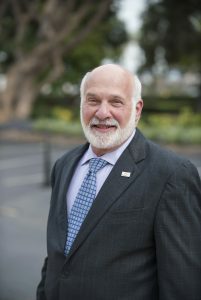 Peter Berns is a nationally recognized nonprofit sector leader and public interest lawyer who was named Chief Executive Officer of The Arc of the United States in July 2008. Prior to his appointment at The Arc, Mr. Berns served as the Executive Director of the Maryland Association of Nonprofit Organizations. Berns has extensive advocacy experience, including federal and state trial and appellate litigation, federal and state legislative and regulatory advocacy, community organizing and grassroots advocacy, and media, public and community relations. Mr. Berns also has extensive expertise in the governance and management of nonprofit organizations and associations. In 2011 he was appointed by President Barack Obama to the President’s Committee for People with Intellectual Disabilities where he continues to serve. He has been named six times to the Nonprofit Times’ Power and Influence Top 50 list, most recently in 2015. A frequent lecturer, facilitator, consultant and trainer, he has served as an adjunct faculty member at Johns Hopkins University. Mr. Berns has a J.D. from Harvard Law School, an LL.M from Georgetown University Law Center and a B.A. from the University of Pennsylvania. We are lucky to have him as our speaker this year and look forward to the information he has to share with us. Click here to RSVP/purchase tickets to the 28th Annual Advocacy Awards and Volunteer Recognition Ceremony. Every year, TARC has the honor of recognizing those who have provided outstanding service and advocacy for Oklahomans with developmental disabilities. Please take the time to nominate one or more individuals/organizations that you believe deserve to be recognized for their efforts in helping others. 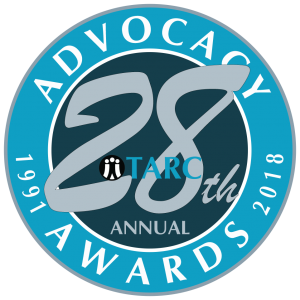 Winners for the 28th Annual TARC Advocacy Awards will be honored at the awards ceremony on Tuesday, Dec. 11 at the Marriot Hotel Southern Hills in Tulsa. There are 13 categories in which nominees can be considered for an award. Every recipient of the award categories listed below has done something remarkable in helping TARC achieve its mission of ensuring a high quality of life for Oklahomans with developmental disabilities and their families. Anyone can nominate advocates for an award by scrolling down and following the link to the nomination form. Nominations are due by Oct.19. Recognizes a member of the board of directors of any non-profit, community based service provider who has gone beyond the interest of his or her agency to become an advocate for all people with disabilities. Recognizes the OKDHS/DDS case manager who has surpassed job requirements to advocate for his or her clients. Recognizes the direct contact staff person working for a community provider, who has gone beyond job requirements to advocate for people with disabilities. Recognizes a public school educator who has promoted the inclusion of children with disabilities in regular school settings. Recognizes any professional such as a therapist or physician who advocates for people with disabilities beyond their professional responsibilities. Recognizes the volunteer or group of volunteers who, in a program serving people with developmental disabilities, has gone beyond the call of duty to advocate. Recognizes an elected official who has effectively promoted better understanding and integration of people with disabilities in employment, education, and the community. Recognizes the self-advocate who has spoken out for all people with disabilities. Recognizes the media professional who has effectively promoted better understanding and integration of people with disabilities living in the community. Recognizes the parent(s) of a person with developmental disabilities who has been a voice for all people with disabilities. Recognizes the individual, business, or organization not included in other categories, which through a significant advocacy effort has improved the lives of people with disabilities. Recognizes individuals, groups or organizations that have been catalysts for significant positive change in improving the lives of Oklahomans with developmental disabilities over a long period of time. Recognizes individuals who have faced extreme challenges while still advocating for others. TARC reserves the right to withhold an award in any category in which an insufficient number of qualified nominations are submitted. A selection committee composed of prominent Oklahoma advocates in the field of developmental disabilities will make the final decision on Advocacy Award winners. TARC is committed to ensuring a high quality of life for individuals with developmental disabilities and their families through education, empowerment, support, and advocacy.